On February 23, 2018, ANP reported that entire archives of Independent Media reporting and videos had been flushed down the toilet, as the Google/YouTube purge of Independent voices, those that did not toe the official MSM narrative pushed by big tech and social media giants, had taken down names like the Richie Allen Show, The Ochelli Effect, and others, while other channels such as Jordan Sather had received their first "strike," which we explained meant he was being targeted and his whole channel would be wiped out as well soon...... well, now it has been. Read the original article linked above to catch up on how Medium purged conservative writers, Twitter locked out thousands of conservatives before restoring many after they were called out publicly for their antics, then read below as we show what has happened since, and provide some alternatives, because the all-out war is here and it is do or die time now. Sather's channel had 120K subscribers, 350 videos with 13 million views, gone... wiped out by YouTube. 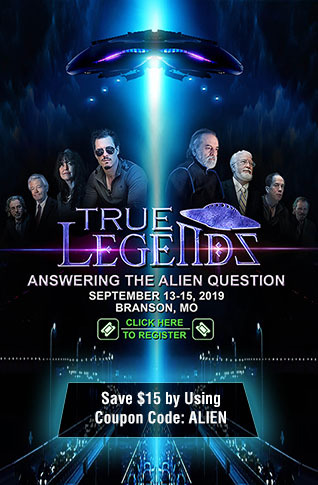 Steve Quayle has issued an alert about Jones, calling on readers to pray and intercede, where he states "The whole evil cabal, of the globalist attack dogs, has been loosed against the alt media in a full court press," as he then highlights how they are now targeted Jones, in a must-read warning to us all. As Steve states, this is "Freedoms Last Stand." Over at SHTFPlan, we see another popular video uploader Ron Johnson, who spoke with SGT Report, telling them "they’re stepping it up. Something is in the works. Something’s in the pipelines because they don’t want independent media covering the news," as he describes what they did to his channel, which was Christian News, stating "we saw this coming [censorship attempts], it was just a matter of time. In September we got two strikes and they booted us off YouTube for three months. We came back in January and we started broadcasting live probably about a week or two before we got ‘canned’ on YouTube. And the strikes just started to come in. One strike came in, we got an appeal, we won it, a couple days went by and we got another strike, and then another strike, and then another strike. They were looking through all the old videos; anything that might trigger a snowflake…extraordinary." Whether we or you listen to one, all or none of these individuals is not the point, the point is they are attempting to silence all voices that do not conform to their preferred political ideology, in a synchronized attack via Google search, YouTube purging of accounts, social media shadow-bans, lockouts and bans, and it is time to start working around them in as many ways as possible. While YouTube is busy purging all opinion they do not approve of, especially in regards to their preferred narrative about the recent Florida High School shooting, claiming the videos are "harassing" or "abusive," they haven't done a thing about the Queer Kid Stuff channel that openly admits to targeting children aged 3-7 years old for indoctrination into the LGBT lifestyle. If THAT isn't abusive, what is? I see people like Sather creating another account at YouTube to attempt to rebuild, while also utilizing BitChute to build another base of core followers elsewhere, but why even bother uploading content to a platform that has already proved and is in the midst of a mass purge of Independent voices and content? Alternative Video Platform: Remember we reported that YouTube was furiously working to scrub a video of the Media's new favorite poster boy for gun control David Hogg as he was being coached and practicing his lines for a CNN interview? I replaced that video no less than a dozen times, but the Internet does not forget nor does it allow even the biggest of tech names to totally disappear proof that doesn't conform to what they want the public to believe, so we found an embeddable version over at DTube. Granted the embed function works a little differently, but this is a war and if Independent Media has to learn how to navigate new sites, ones that are hell-bent on allowing an open platform without the censorship being seen elsewhere, then so be it. DTube is actually benefiting greatly from YouTube's purge as more and more content creators are preparing for the moment when they are the next to be targeted. We have signed up for DTube, via Steemit, and are in pending status, but if approved, All News PipeLine will start creating videos again, as we stopped offering anything to YouTube by way of content when they started censoring us. 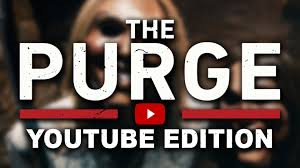 The CorbettReport also understands the need to start building up an audience over at DTube as well as he speaks of the purge and warns his listeners that if they only get his work over at YouTube, one day they won't see him anymore as he too will be purged. From what I can see on his DTube home page, he was forward thinking and has been uploading there for about six months. I am seeing names like the Dollar Vigilante, Lift The Veil, We Are Change, David Pakman, just to name a few names that were familiar to me from YouTube. It would be great if some of the huge YouTube channels decided to organize a mass exodus, taking subscribers, traffic and ultimately massive revenue right away from YouTube. The best thing in my opinion, is the videos that YouTube and Facebook have been busy scrubbing, such as the Hogg video above, can be found there at DTube, because if all you can find is Google approved content at YouTube, then when looking for truth and alternative opinions, people must go elsewhere. Natural News' Mike Adams has announced and reiterated just today, that he will be launching another alternative video platform. Read his latest piece titled "Save your video files! Health Ranger to launch YouTube alternative that protects the free speech of real Americans." Alternative Social Media: With Twitter now not only locking conservatives out in an attempt to silence them, we have found Gab.ai to be truly free an open. The MSM would like to claim that all the users are alt-right, white nationalist neo-Nazis, but I personally have seen far left liberals over there, sure they are trolling, but Gab has not banned, shadow-banned, blocked or censored them in any way, which already makes them better than Facebook and Twitter. Twitter most recent attempt to censor and prevent any thought or opinion they do not approve of, is a Rebel Media petition page calling for Florida Gov. Rick Scott to fire Broward County Sheriff Scott Israel, after published reports revealed four of his officers hid outside the Marjory Stoneman Douglas High School in Parkland, Florida, while a gunman was inside murdering 17 speople and injuring more. This occurred after dozens of calls to the Broward County Sherriff's office regarding the shooter Nikolas Cruz in the past had been made, with some even telling him that he was going to shoot up a school. 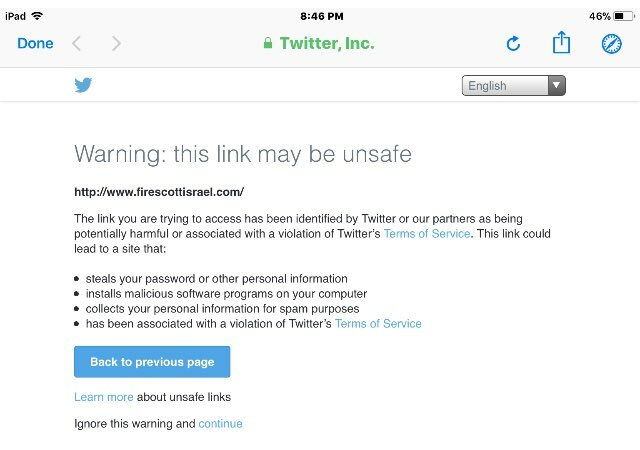 When people try to share the petition to demand Scoot fire Israel, they receive a message "Warning: This link may be unsafe,"
The post was accompanied by a screenshot from Twitter, Inc., with the message: “Warning: this link may be unsafe,” referring to www.firescottisrael.com. The prompt contends the site could be harmful or a violation of Twitter’s Terms of Service, possibly because it steals passwords or personal information, contains malicious software, or could be spam. 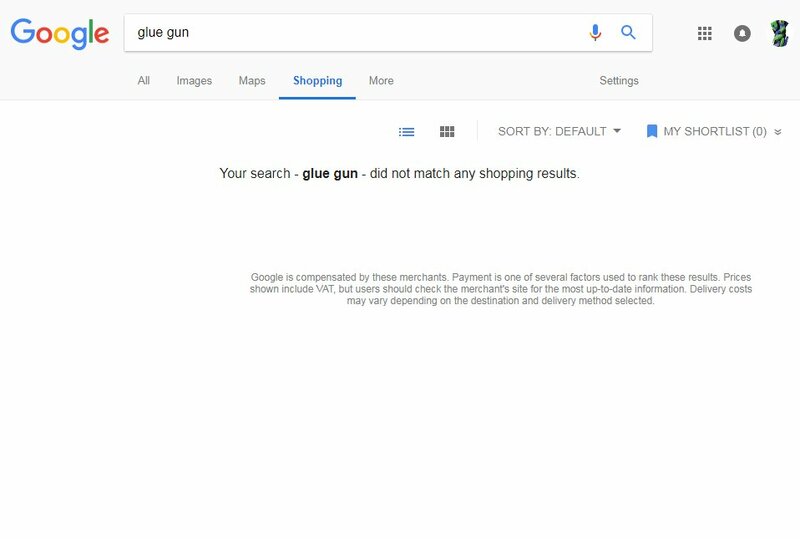 Alternative Search Engines: While we have previously reported how Google has been manipulating their search results to make sure that most of what is seen on their first pages are all MSM opinion and narrative, down-ranking Independent Media, now we see that they have actually blocked any results for any search term that has the word "gun" in it on their Google "shopping" option. 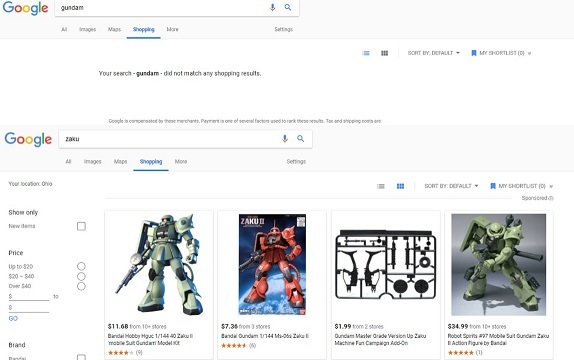 This includes searches under "shopping" for "guns and roses," (music) or "glue gun" or even the toy "gundam," as they are actively preventing people from finding legal weapons in their shopping searches. There are number of alternatives to using Google to search since they are now manipulating what people can find easily and preventing people from finding what they want if it doesn't fit their own ideological agenda. If people are worried about privacy, DuckDuckGo is the search engine for them. They block advertising trackers and keep your search engine history private. Other alternatives include Bing, Dogpile, StartPage, Ask.com, Yahoo, and just to annoy the powers that be, lets add the Russian search engine, Yandex. Big tech, social media, Google and YouTube have not just declared war, they have now brought out their big guns and the only way for Independent and Alternative News readers to fight back is to hit them where it hurts, their wallets. Website owners can embed videos from other sites, if they can find them, it might take a while to totally stop using YouTube if a relevant video cannot be found elsewhere , but IF something pertinent can be found on DTube, Vimeo or other platforms other than YouTube, millions and millions of views will then be taken away from YouTube. If more people start using Gab as their social media go-to, there goes Twitter's revenue for every single person or hit lost. If Independent Media readers want to find the news they are looking for instead of allowing Google to determine what is the most "authoritative" and controlling what items can be found when "shopping," then pick another search engine. Try all the alternatives listed above, pick one that you find the easiest to navigate, then set it to your default search engine. We, the users, have the most powerful weapons of all in this war- Our weapons are called free will and choice, and we should make sure our "choices" do not give them power to control what we see, what we buy or what we watch.